So far we’ve gotten some impressive feedback for our “Off Duty” section. One particular story that caught our eye was from a correctional officer for Ramsey County in St. Paul, Minnesota. 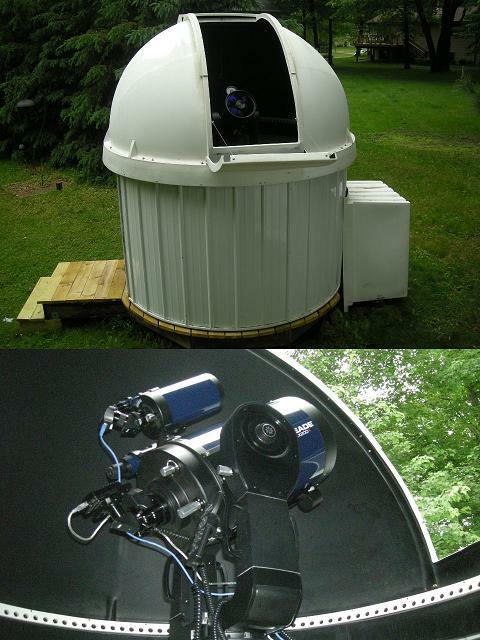 When he was just 14 years old, Brett Ohnstad built his first telescope. 30 years later, stars, moons, planets, etc. are still his passion. Take a look at his latest telescope, a ten inch Schmidt-Cassegrain, here. We want to publish your off duty stories. So far we’ve gotten some great ones -- aerochuters, Community Emergency Response volunteers, crochet-ers and outer-space extraordinaires. Now we want to hear from you -- either for the first time -- or tell us again what you’re up to. Please send us photos – we’d love to publish them! Email us to be included in the second round. Is Corrections Work Peace Work?